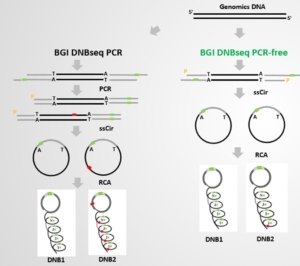 By utilising the DNB technology from MGI and PCR free sample prep you can now achieve Whole Genome Sequencing without any amplification steps. 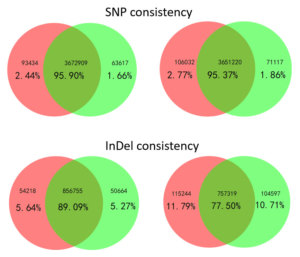 These truly PCR free libraries provide a precision of 99.4% and sensitivity of 99.8%. The removal of PCR allows for sequencing without GC biases resulting in better coverage uniformity. 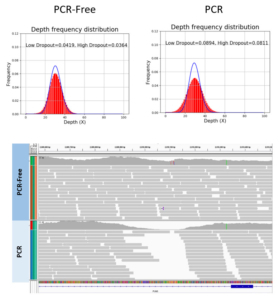 By utilising PCR free library preparation you can either decrease sequencing depth to get similar quality results to other library preparation methods, or alternatively sequence at a similar depth to achieve more accurate data. The total workflow is only 3.5 hours and is automation friendly. Genomic DNA can be prepared using either mechanical or enzymatic shearing.